Florence Residency is a modern and stylish property with bright rooms in Sector 8, Rohini, in Delhi. It is close to the Rohini East Metro and the District Court, Rohini. There is a park and a number of ATMs in the vicinity. The property has a kitchen so that guests can prepare their own meals if they wish to. The rooms feature fashionable furniture in bright colours and the bathrooms are spacious and are lined with marble. The bathrooms also feature the latest fixtures. 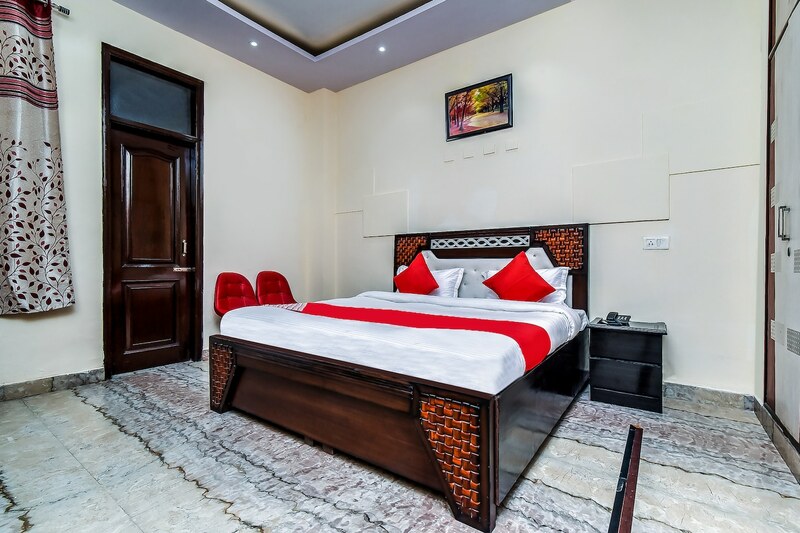 All rooms in this property are equipped with TV, AC, free Wi-Fi and seating area. Power backup and CCTV security are also offered for the comfort of guests. The property is close to quite a few eateries and cafes like The Samosa Story, Cafe Mudlark, THE BIG BUN and Ashu Bhature Wala.